This traditional event comes to the Riviera Nayarit for the first time with approximately 150 choppers and luxury bikes that will tour Sayulita and Nuevo Vallarta. The 10th HOG GDL, traditionally a global event, will begin in Guadalajara on February 13th and will be hosted at the Riviera Nayarit’s Hard Rock Hotel Vallarta on February 14th and 15th. 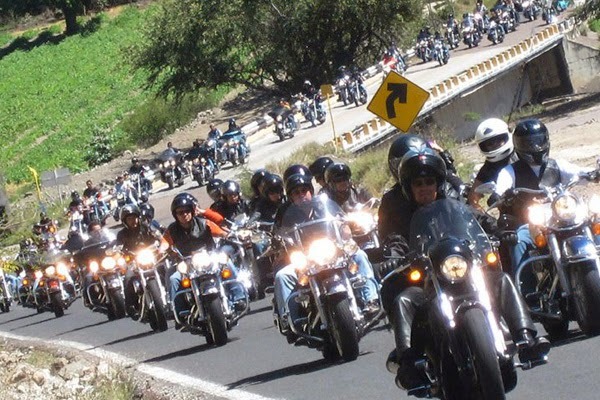 The HOG GDL Rally has been itinerant and will visit the Riviera Nayarit for the first time. Approximately 150 choppers and luxury bikes will tour the roads of Mexico’s Pacific Treasure. The distinguished Riviera Nayarit hotel will offer the bikers a welcome cocktail, parties on the beach and a great concert on closing day in Nuevo Vallarta. Among the rally activities is a visit to Sayulita, a surfers’ paradise that will set the stage for the many bikes that range from the very classic to the cutting edge. The event is expected to attract some 400 visitors, since each bike usually has two riders, plus the personnel from the organizing committee. The HOG Rally was started in 1983 by Harley Davidson and has over a million members around the world. The Guadalajara chapter was started in the 90s and currently has over 80 members. Motorcycle lovers are invited to participate in this rally with complementary registration; they will be able to participate in all of the events by reserving their accommodations at the Hard Rock. The Riviera Nayarit Convention and Visitors Bureau invites all interested parties to call 01 33 3121 3288 or email organizadores@rallyhog-guadalajara.com.mx. For more details visit http://www.rallyhog-guadalajara.com.mx/ and http://www.hog-guadalajara.com/.